It’s hard to believe an RC helicopter could actually kill someone, until you learn that some, like the one that fatally wounded a New York man on Thursday, have rotor blades 61 centimeters (24 inches) in length. Roman Pirozek Jr with one of his many RC helicopters. 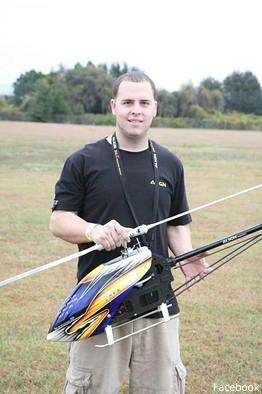 Roman Pirozek Jr was flying his RC helicopter in a Brooklyn park when he lost control of it. The model helicopter came crashing down on him, with the blades “cutting off the top of his head”, the WSJ reported. He was pronounced dead at the scene. He was said to be performing one of these tricks when he reportedly lost control of the machine. It’s not clear precisely which model of helicopter Pirozek was using at the time. Pirozek was vice president of the Seaview Rotary Wings model helicopter flying club in Brooklyn and an experienced operator of such remote-controlled flying machines. The enthusiast reportedly kept an up-to-date Facebook page (since taken down) detailing his flying adventures with a multitude of RC helicopters, and posted videos on his YouTube channel showing many of his flights. The WSJ reports that Calvert Vaux Park, where the accident occurred, is sanctioned by the city as a model aircraft field, as well as by the Academy of Model Aeronautics, a national model aviation organization. However, before you make a note-to-self to steer clear of anyone in parks flying a model aircraft, rest assured that such incidents are exceedingly rare. According to a spokesperson for the Academy of Model Aeronautics in Indiana, Thursday’s RC helicopter fatality is only the second such recorded case in the US.